Ixodes scapularis, taken by James Occi. 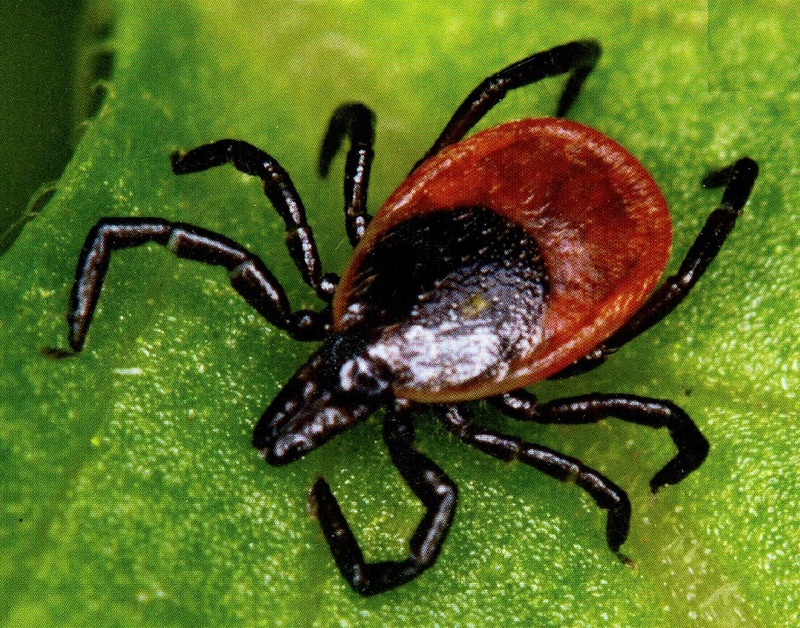 This was a photo used for the cover of of the book, “Lyme Disease: Why it’s spreading, how it makes you sick and what to do about it” by Alan Barbour. From the Abstract: We describe a 2-yr trial to evaluate the ability of SELECT Tick Control System (TCS) host-targeted bait boxes to reduce numbers of host-seeking Ixodes scapularis nymphs in a residential neighborhood. After four successive 9-wk deployments, nymphal and larval I. scapularis infestation prevalence and intensity were significantly reduced on target small mammals. In addition, these deployments resulted in 87.9% and 97.3% control of hostseeking nymphs in treatment sites at 1 yr and 2 yr postintervention, respectively. Installation of a protective metal cover around the SELECT TCS bait boxes eliminated nontarget wildlife damage to bait boxes that resulted in failure of previous bait box types. The results are discussed in the context of the residential environment and future research needs. This entry was posted in Uncategorized on May 4, 2017 by Lisa Reed.